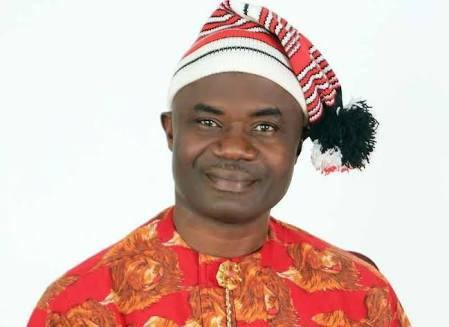 Abia State Deputy Governor, Sir Ude Oko Chukwu has stated that the Peoples Democratic Party, PDP, is solidly on ground ahead of the 2019 election. He declared that the PDP was not afraid of the All Progressive Grand Alliance, APGA and the All Progressives Congress, APC. We don’t have opposition capable of dislodging the PDP in Abia state. I don’t want to mention names but which of the parties can stand the PDP? Abia is a PDP state; there is no other party here”, he told Vanguard. “In Abia, opposition parties only exist to make up the number. Some people who are making noise in other parties are members of the PDP who left as a result of the fallout of the 2015 party primaries. “They took their decision at the heat of anger and men who take such decisions are bound to always make mistakes. Despite the fall out of the primaries, PDP is still one big family with its structures intact and firmly rooted across the 17 local government areas of the state. “The issue of questioning the chances of the PDP in the 2019 general elections is just asking questions for asking sake. PDP’s chances are bright as always. You can see that some of our members who left for the opposition are now retracing their steps back to the party. In 2011, we returned 100%; Presidency, governorship, 3 senatorial, 8 House of Representatives and 24 State House of Assembly seats. In 2019, PDP is set to repeat the feat. “In 2015, we lost some ground, but you can see that some of our members who left for the opposition are now retracing their steps back to the party,”‎ he said.